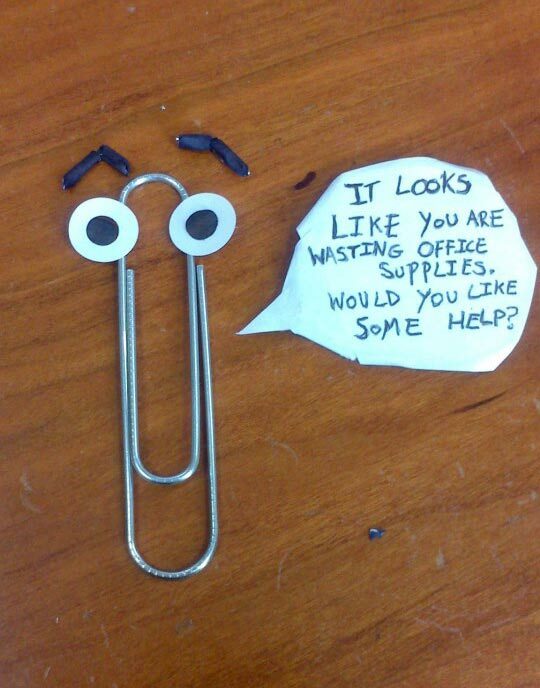 Clippit: It looks like you are wasting office supplies. Would you like some help? Created about 5 yrs, 11 mths ago (May 14, 2013). Updated about 5 yrs, 11 mths ago (May 15, 2013).